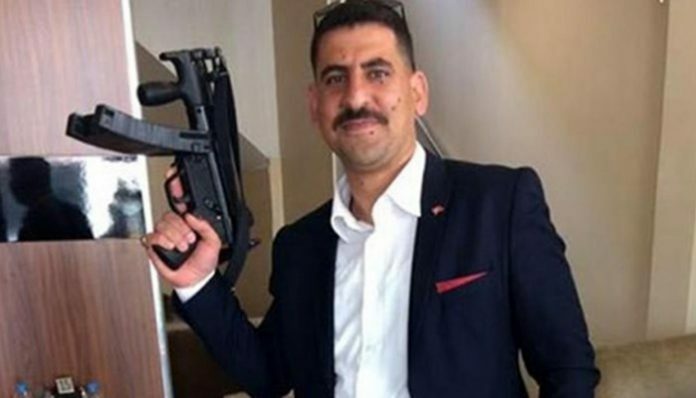 Mehmet Aybek, a member of the Justice and Development Party (AKP) youth wing who shared a photo of an MP5 machine gun on Facebook, was briefly detained and then released on Thursday, the Cumhuriyet daily reported. According to the report, Aybek had posted a photo of an MP5 machine gun accompanied by a message saying that he was awaiting orders from President Recep Tayyip Erdoğan to kill. Aybek, who shared the photo after a decision of the main opposition Republican People’s Party (CHP) to kick off a “March of Justice” from Turkey’s capital of Ankara to İstanbul in protest of the arrest of CHP deputy Enis Berberoğlu on Wednesday, removed the photo from his page six hours later. Berberoğlu was arrested on Wednesday immediately after he was handed down a prison sentence of 25 years for providing information for a report on National Intelligence Organization (MİT) trucks transporting weapons to jihadists in Syria. The MP5 is a submachine gun generally used by military, law enforcement, intelligence and security units around the world, and the sale of MP5 guns to civilians is banned in Turkey, according to a security official who spoke to the Hürriyet daily.